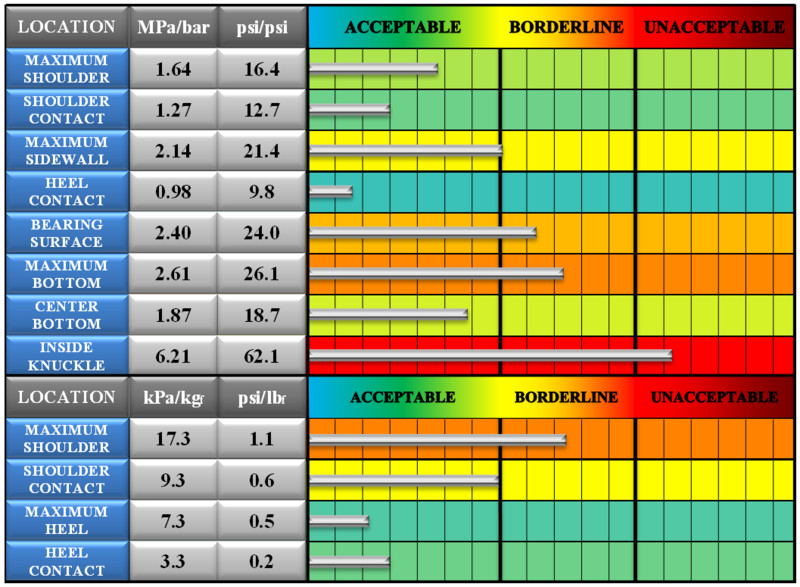 FEA Stress Analysis of current or new glass container designs to assure desired performance or to Lightweight. 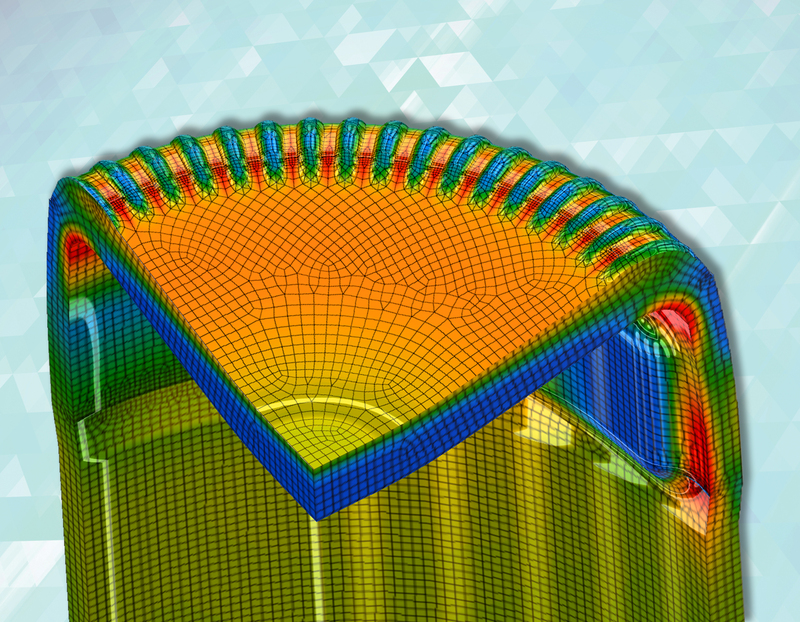 As a forerunner in the implementation of the technology, we have used finite element analysis since 1975 to evaluate the magnitude and location of stresses generated throughout the container caused by: static loads such as: internal pressure, vertical load, and impact loading as well as transient loads such as: thermal. Using a technical drawing of the container and a known or assumed vertical thickness distribution, a container can be analyzed to identify potential problem areas for the design. Results are compared to well-established glass surface strength criteria and the service requirements to ensure that the bottle will perform as a commercially acceptable package. 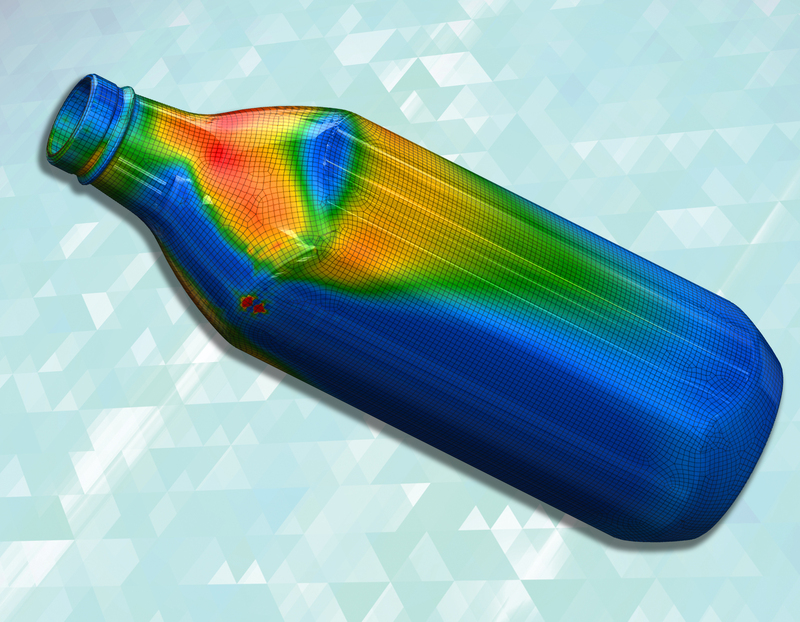 While bottle design performance can be modeled with proper software, it is the interpretation of the results that separates our analysis from the competition. 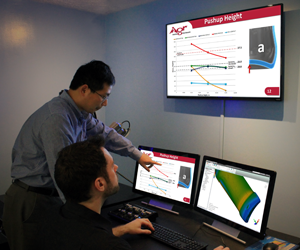 Drawing from our expertise of glass surface strength, expected bottle performance and the limitations of glass manufacturing, we are uniquely positioned to certify that our interpretation of the computer-simulated results will closely replicate actual performance. New Designs: ensure there are no performance problem areas before first container is manufactured. possible for a particular design and its intended use utilizing iterations of finite element analysis of while purposefully varying vertical thickness distributions. changes in design and vertical glass distribution. intended use starting with the creation of a good commercial package from a sketch and specific boundary specifications. This analysis requires a continuous dialogue between the customer and our design team to ensure creative marketing ideas become functional bottle designs with alterations that are agreeable and provide customer satisfaction. Summary of finite element analysis results. Stress plots for the applicable loading conditions. 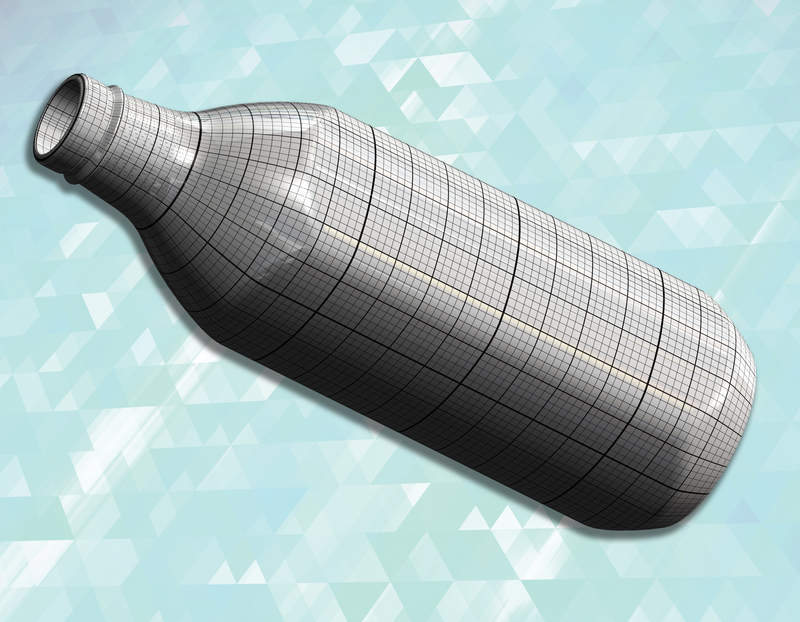 Minimum thickness predictions to ensure that bottles meet your specifications. Recommendations for improvement if problem areas exist. 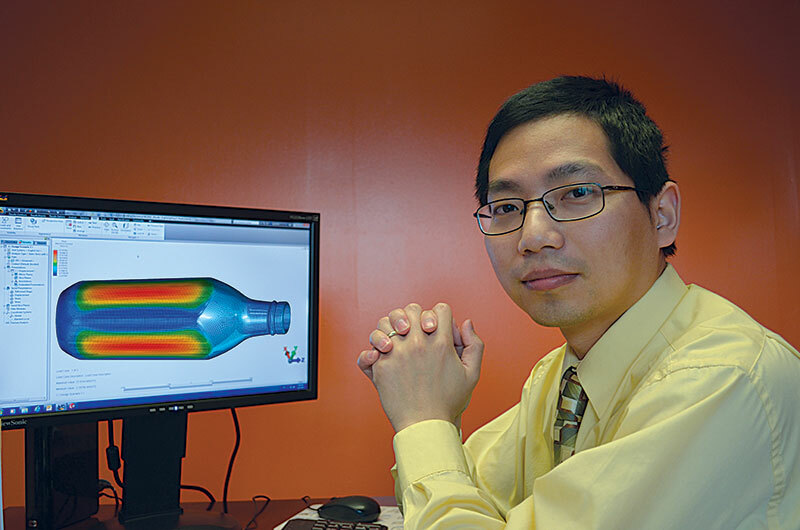 AGR has enhanced its Fast-Track Bottle Design Service and customers can now receive an actual 3D printed replica of their proposed bottle design. 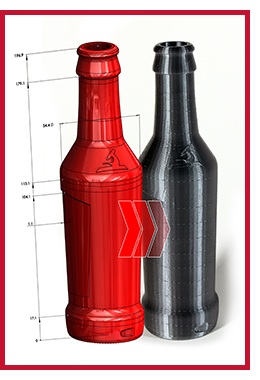 The 3D printed bottles are the exact dimensions as described in the technical drawing and even include all unique design features and logos. Providing the 3D printed bottle provides enhanced visualization of the end product (including label application) to the customer well in advance of actual bottle production. This new offering augments AGR’s Conceptual Bottle Design and Onsite Bottle Design Service and is expected to enhance the customer experience during glass container development projects. If you are you interested in accelerating your project we offer onsite design help. The AGR Container Design team will work closely with you at your location or ours to understand your requirements and execute a glass container development project in a time saving and cost effective manner. We eliminate time consuming ‘back and forths’. Design projects that can take weeks or months can be completed in days or possibly hours when decision makers are sitting with our design team. Use our form and send along a blueprint preferably in a .dwg or .dxf format, but if these formats are not available an .iges or .pdf file are also accepted.